In our electric surfboard Waterwolf review we will have a closer look at the Waterwolf MPX-3 which is developed in Germany. We had the 2016 130 litre model in house for an unboxing video and of course test rides. 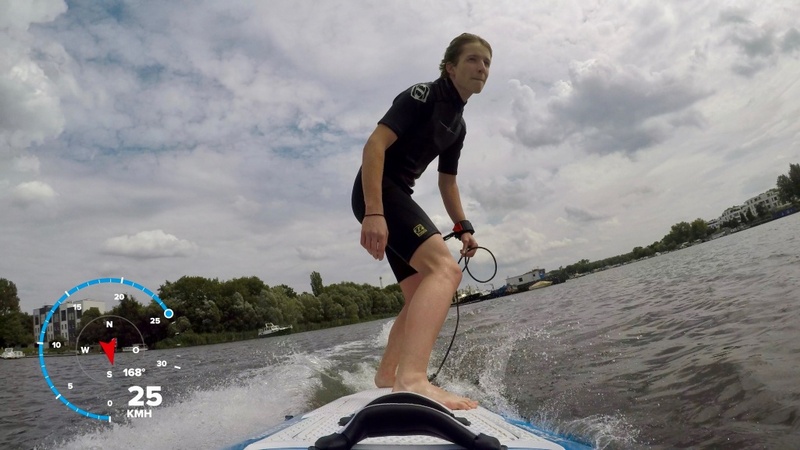 Most electric surfboards have a jet engine, but Waterwolf and the eFoil come with a propeller. Please compare the different boards at our Electric Surfboard Comparison 2017. 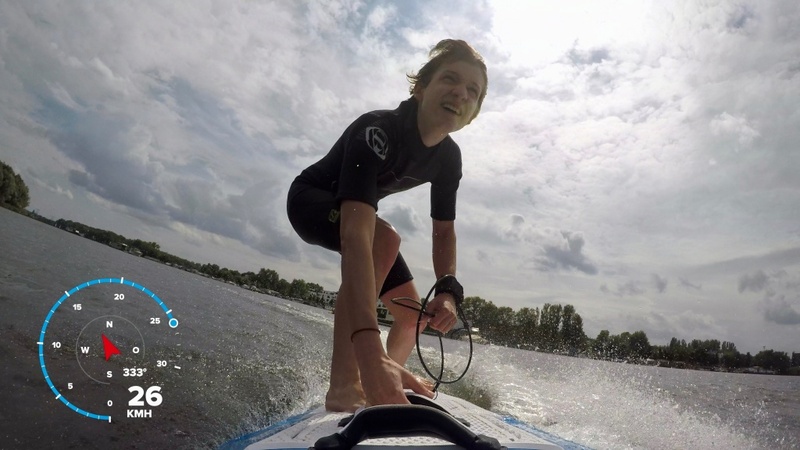 Markus Schilcher from Waterwolf started to develop electric surfboards several years ago. 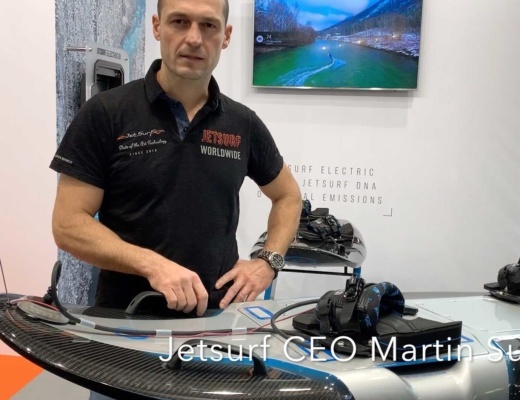 There are not much waves in Bavaria, Germany and Markus did not want to limit his surfing to a one week vacation a year. He was looking for a silent environment-friendly solution and decided to go with an electric engine. His slogan is „make your own wave“. We received the board on July 11th 2017 and started with an unboxing video. You can find the video including shoots of our first ride in our VIDEO SECTION. In our electric surfboard Waterwolf review we will find out if the MPX-3 can deliver on the promises of the Waterwolf website. For 11.990 EUR you are supposed to get a 6,000 watt powered E-Surfer, which has a top speed of 25-30 km/h at a weight of 62 lbs (28 kg). The removable battery pack is exactly half of the weight with 31 lbs (14 kg). The battery is supposed to last about 35 minutes and we can confirm this. Since electric surfboards are just starting you don’t want to expect professional packaging like you would find with electric skateboards. The volumes are still low. We in addition received a refurbished 2016 test board and not a new board. That’s said, we made a good experience with Waterwolf. When we opened the box we found (of course) the electric surfboard Waterwolf MPX-3. Next to the board we had a manual, a power supply, a leash and a tool to remove the propeller protection. The Waterwolf does not come with a remote control. It has a knob on the board where you can adjust the speed. Once you find the right speed you stand up and don’t have to deal with a remote control. If something happens, you just disconnect a safety connector which is linked to a leash on your hand or foot. The Waterwolf MPX-3 is 239 cm (94 inches) long, 70 cm (27.5 inches) wide and 13 cm (5.1 inches) thick. Our model is blue, but you can get the electric surfboard as well in white, yellow and red. By this time we can confirm that the Waterwolf runs 25-40 minutes with one battery charge and has a range up to 6.2 miles (10 km). Obviously this depends on the weight of the rider and the surfing style. We charged it now several times and the it takes about 4 hours. We did not stand up in our first ride, mainly due to speed limits of 5 mph (8 km/h) at the lake we tested. You should power it up to 12 mph (20 km/h) or more to stand up. The battery was good for 6.2 miles (10 km) and a full hour at this first ride. The battery was at 29% after this ride. 4 hours later (after the battery was charged again) we were finally standing up. Our 198 lbs (90 kg) rider made it to stable (even while carving) 15 mph (24 km/h) and our 143 lbs (65 kg) rider made it up to 17.4 mph (28 km/h). 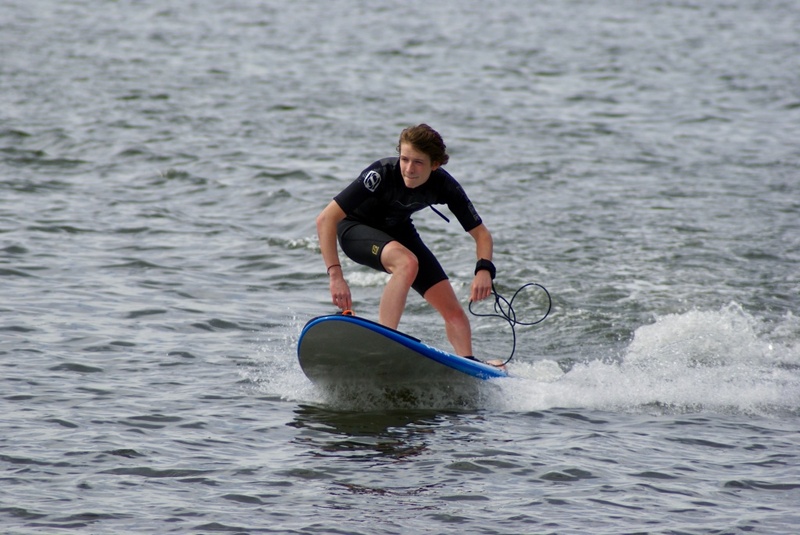 If you have experience with wakeboards or surfboards you are actually able to stand up within seconds. 5 minutes later you are starting nice carving. We pulled the security leash a few times to check what is happening. The board stops within 6 feet and 7 inches (2 m ) up to 16 feet and 5 inches (5 m). This is fast enough, but also smooth enough. we definitely enjoyed our Waterwolf rides. It is similar to Snowboarding and Wakeboarding. The MPX-3 2017 models have a new display which is now showing additional information such like the temperature, voltage and ampere. In addition the water cooling was improved and board has a more robust painting to protect the board. The 2017 models ship in 105 litre for up to 176 lbs (80 kg) and 124 litre for riders up to 210 lbs (95 kg). We are already looking forward to test the Waterwolf MPX-3 directly in competition with other electric surfboards.